TRAVEL WITH GUEST BLOGGER AND VETERAN, DAVID HOSTETLER- On to San Antonio, TX! Good evening! 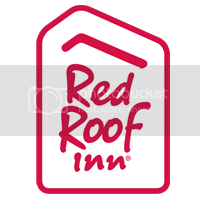 Checking in online after checking in at Red Roof Inn San Antonio. Following a long, but somewhat relaxing, drive from El Paso to San Antonio I am staying in the downtown area just off I-37. A quick ten minute walk will have you in the middle of the historic district including the Riverwalk and the Alamo. The lobby had a large supply of tourist maps and the staff was quick to answer questions about sightseeing options. I went downtown and took the Riverwalk boat tour. Very informative and scenic. You may have noticed a photo of my travel companion, Susie, in yesterday’s blog. Because my current room accommodations are very similar to those described in my two previous blogs, I will focus on pet accommodations for this edition. I have walked into three different lobbies this week and have always received smiles for Susie and me, I think). There seemed to be far more pets than I expected when I booked these rooms. Pet owners are traveling with dogs of all sizes from 75 pounds to 7.5 pounds while Susie “tips the scales” at 35 pounds. They (Owners) seem to understand that they and their pets will be comfortable at Red Roof Inns. In San Antonio this downtown hotel even has a grassy area on the property for your pet to walk safely and to do “what is necessary” while on the walk. It includes a special receptacle for proper disposal (such as those seen in community parks). The San Antonio and Tucson properties had tile floors in the room which keep it cooler and makes for an easier clean up from an accident. It was recommended to me to not bring Susie downtown with me, but I leave that to you and your pet. I will end on a lighter note: The drive along I-10 is a very long, mostly unpopulated, stretch. The speed limit 80 MPH along most of the stretch. During the drive it occurred to me that the increased speed limit still requires Texas State troopers to run speed traps and actually write tickets! Lots of flashing lights today. (No tickets for me. See 75 miles per hour comment in yesterday’s blog.) I feel I can safely surmise that speeding ticket is most likely far more than my room rate at Red Roof Inn. Note: Due to the San Antonio hotel’s downtown location, there is a nominal daily charge for parking. TRAVEL WITH GUEST BLOGGER AND VETERAN, DAVID HOSTETLER- LAST STOP, PENSACOLA, FL!